Trust and network: UBELONG is based in the United States and has top volunteer reviews that are real. Prices from only US$500: without compromising safety and support, highly affordable volunteer opportunities. Real impact: We offer volunteer opportunities that tackle critical social and environmental challenges. We don’t do “voluntourism”. Traditional breakfast and dinner included every day. Support from teams in the United States, Europe and Costa Rica – we never just drop you in a country, we offer you support every step of the way. Meet some of the thousands of people who have already volunteered with UBELONG. Cartago is a small city that is the perfect location to enjoy the best of Costa Rica. From the famous friendliness of the Costa Ricans to the spectacular beaches and jungles of the country, Cartago is just outside San Jose, Costa Rica’s capital and a much more chaotic and urban place. Reflecting Costa Rica’s success as a beacon of hope in Central America, Cartago’s economy relies on agriculture, especially coffee exports. 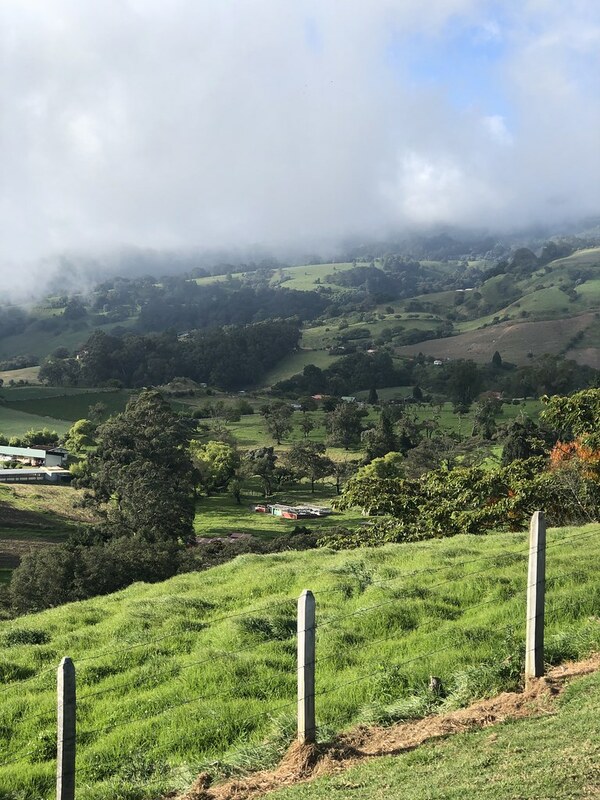 Its people enjoy the economic opportunities of nearby San Jose, but also have the benefits of living in a peaceful community located in a gorgeous natural setting that is famous for great hiking and beaches. 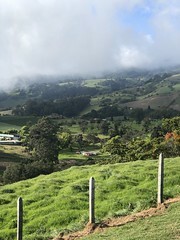 Despite the excellent international reputation of the country as a champion of human rights and environmental conservation, Costa Ricans face many challenges. Slow economic growth, rising unemployment and a rapidly widening gap between the rich and poor are some of the issues. Assisting in animal, caregiving and education projects, and working with a local environmental organization are some of the wonderful volunteer opportunities open to you with UBELONG. Click on the tabs above to learn more. “What stood out about UBELONG was the pure, cultural immersion of the programs. With so many options of countries and programs, I immediately found some I knew I could connect with and really be of service to.” Marissa Miller, UBELONG Costa Rica Volunteer from the United States – read her interview here. Many people don’t have the education and/or resources to treat pets like family. A lot of animals are neglected and abandoned in the streets. In Costa Rica there are over a million dogs roaming the streets. Some suffer serious injuries from human abuse and being run over by cars, and almost all are sick and/or malnourished. There are many centers throughout Costa Rica that work with dogs that have been abandoned, abused or injured. They bring dogs back to health and run adoption, education and spading and neutering programs. UBELONG Volunteers have the incredible opportunity to work directly with the dogs in one of these rescue centers. Volunteers live in Cartago and work in the city and surrounding areas. Click on a heading below to learn more. Volunteers work five to seven hours a day in a center for stray dogs. The center aims to rescue injured and mistreated stray dogs so they can live healthier, better lives and, hopefully, be adopted by loving families. The center also helps raise awareness in Costa Rica about the importance of caring for dogs. Volunteers help the staff in the daily tasks of the center, for example bathing and brushing the animals, walking them, playing with them and giving obedience training. Volunteers help with cleaning the kennels and any miscellaneous tasks that come up. Depending on need, volunteers also assist in animal rights educational programs, as well as working with local authorities and other organizations to lead sterilization and deworming campaigns. -At least a basic level of Spanish. Want to brush up your Spanish? Find out how to book your Spanish classes in the field under the “cost” tab. -Lots of affection and love for dogs and animals in general, which you will be constantly interacting with. -Education and/or professional experience in an animal-related field is not required. The project starts every Monday and runs year-round (for groups of four or more, we may make an exception and allow an alternative start date – contact us to request an exception). 1. This description is intended only as a broad overview of the work. There is no typical day or script to follow. Remember, volunteers are serving in the developing world where conditions can change in an instant. Being flexible, open and able think on your feet are crucial characteristics of a good international volunteer. It is each volunteer’s role to fit in with their project and not the other way around. We expect volunteers to contribute wherever the need arises, even if it means being involved in activities they were not expecting to work in. Being able to adapt, adjust and fit in is challenging, but also what makes international volunteering so special. 2. Some of the dogs have been abused and/or neglected. As such, they can be aggressive. While the rescue center is led by animal professionals, accidents, as they do in any animal shelter in the world, can happen. 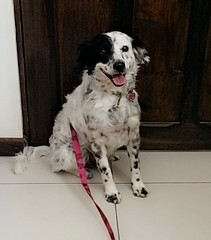 While you do not need education and/or professional experience in an animal-related field to join the project, you should feel very comfortable with dogs and understand that they can be unpredictable. And, as in any other UBELONG Volunteer Abroad project, it is important to use good judgment and follow the instructions of the local team. 3. Prior to arrival, volunteers must provide a police background check. Without it, volunteers will not be allowed on the project. 1. Read reviews of past UBELONG Volunteers and see why UBELONG is trusted by thousands every year. 2. Browse our Volunteer Abroad news section to meet UBELONG Volunteers, the finest international volunteers in the world. 3. Like UBELONG on Facebook and connect with past, current and future UBELONG Volunteers. This is Kira. 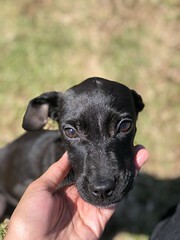 She’s looking forward to meeting volunteers! Many children in Cartago suffer from problems typically associated with poverty conditions, such as domestic violence, neglect and abuse. Life for many senior citizens is also difficult. 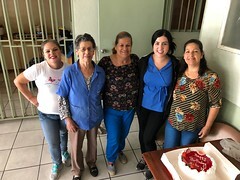 While the government and the church provide some support, caregiving institutions require constant resources and manpower to assist the most vulnerable. The caregiving projects support local organizations that provide disadvantaged children and senior citizens emotional, educational and social support. Volunteers bring new energy and ideas, and provide positive stimulation through different activities. Volunteers live in Cartago and work in the city and surrounding areas. Volunteers work from five to seven hours a day in either a living center, a boarding school or a local NGO for children and youth from disadvantaged backgrounds. Many of the children, with ages ranging between 3 and 18, have been emotionally, physically and/or sexually abused, while others are in the middle of custody fights or fighting drug problems and, in some cases, are intellectually challenged. 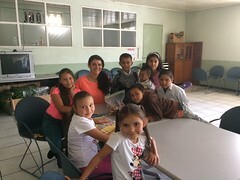 Volunteers partake in a range of daily activities, which may include homework help, playing sports or organizing sport activities, and making art. Volunteers can also organize English tutoring activities when appropriate. As needed, volunteers also help the local staff with daily chores like administration and planning recreational activities. -A very caring and open attitude. -The emotional intelligence and maturity to relate to people from difficult backgrounds. -Education and/or professional experience in a caregiving-related field is not required. 2 weeks (for groups of four or more, we may make an exception and let you stay a week – contact us to request an exception). The project starts every Monday of the month and runs year-round (for groups of four or more, we may make an exception and allow an alternative start date – contact us to request an exception). 2. In their application, volunteers must provide their resume/CV. 3. Prior to arrival, volunteers must provide a police background check. Without it, volunteers will not be allowed in the project. “I could see the impact I was having every day. I volunteered in a school for young adults with learning difficulties and disabilities, and all of the classes and sessions are run by volunteers. 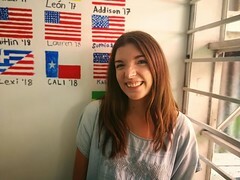 This meant that I was soon being relied upon to lead my own sessions, and it was clear that if I hadn’t been there they would have been struggling to find enough things for all the students to do.” Eleanor Weeks, UBELONG Costa Rica Volunteer from the United Kingdom – read her interview here. Volunteers work five to six hours a day in a center for people with disabilities, most of whom are young adults generally 18 and older. Depending on local need, which changes from day to day as the center is very dynamic, volunteers perform different activities such as playing games, making paper from recycled goods, helping with the local agriculture program, organizing and supporting several workshops (e.g. crafts, cooking, exercising, etc. ), and/or teaching math and English. Volunteers may also help the local staff on activities like feeding, cleaning up and fundraising for the center. -A basic level of Spanish is helpful. Want to brush up your Spanish? Find out how to book your Spanish classes in the field under the “cost” tab. The project starts every Monday and runs year-round, except during the months of December and January (for groups of four or more, we may make an exception and allow an alternative start date – contact us to request an exception). Brianna, a UBELONG Volunteer from California, with new friends in Costa Rica! Volunteers work from six to seven hours a day at a government-supported community center for the elderly. The center serves about 100 senior citizens, mostly from disadvantaged backgrounds, who live at home but come to the center every day to eat, learn new skills, receive medical attention, and socialize in a healthy environment. Volunteers work to provide emotional support and promote a fun and uplifting environment. They help in different tasks, including housekeeping, serving meals and assisting the elders in their daily routines (playing games, exercising at the gym, etc.). Volunteers may also participate in workshops on making handicrafts and other recreational activities to stimulate creativity. They also assist local staff in administrative duties. -At least an intermediate level of Spanish. Want to brush up your Spanish? Find out how to book your Spanish classes in the field under the “cost” tab. -The patience and sensitivity to connect with senior citizens. 4 weeks (for groups of four or more, we may make an exception and let you stay a week – contact us to request an exception). The project starts every Monday of the month and runs year-round, except the last week of December (for groups of four or more, we may make an exception and allow an alternative start date – contact us to request an exception). Katie, a UBELONG Volunteer from Alabama, with a new friend at the project! The basic infrastructure of social institutions in Cartago tends to be deficient and deteriorating. For example, schools and caregiving centers for disadvantaged children are resource-poor, funds run low, and undertaking basic renovations of buildings is difficult. Volunteers bring energy and manpower to help beautify and restore buildings serving Cartago’s most vulnerable. They live in Cartago and volunteer in the city and surrounding areas. Volunteers serve four to six hours a day doing light construction work in a local school, caregiving center or social organization. Their tasks depend on local need, as well as the skills of the volunteers. Tasks range widely and examples include drawing and painting murals in a caregiving center; cleaning up a playground and fixing and/or painting the play-sets; doing light construction work in a classroom, which may include fixing the desks and repairing damaged walls; and beautifying a meeting room in a community center by cleaning it up, painting and/or performing light handywork. -The health and physical capability to do manual work in an environment with few amenities. -The flexibility to participate in many different activities depending on the ever-changing local needs. -Education and/or professional experience in a construction-related field is not required. The project starts every Monday of the month and runs year-round (as this project is only open to groups of seven or more, we may make an exception and let you start another day of the week – contact us to request an exception). 3. To join, you must be part of a self-organized group of five or more planning to apply and volunteer on the project together – we do not organize groups. 4. 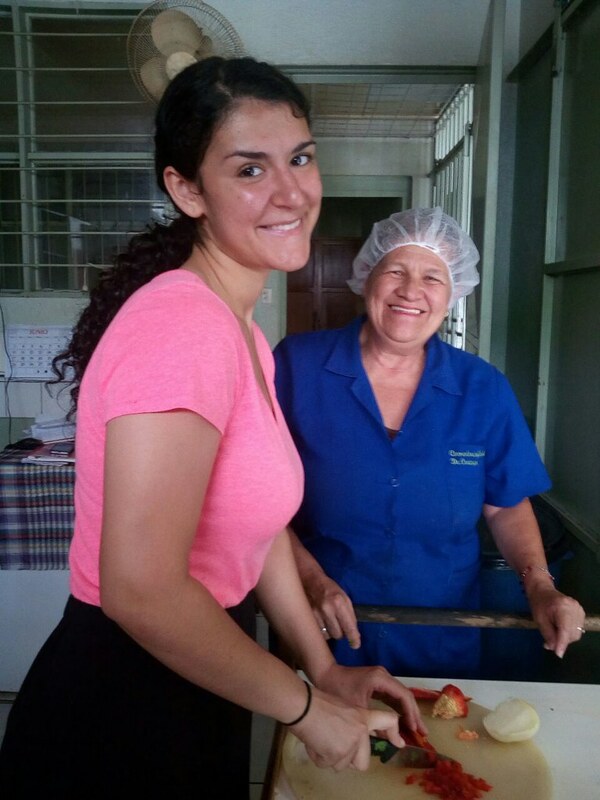 Each volunteer must bring to Cartago US$40 in cash for every week of their placement. The money will go towards purchasing materials, for example brooms, paints and paint brushes. 5. Prior to arrival, volunteers must provide a police background check. Without it, volunteers will not be allowed in the projects. Hands up! 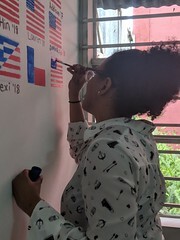 A student from Southern Methodist University at the project. Over 20 percent of Costa Ricans live below the poverty line, a figure that has not significantly changed in the past two decades. Education for disadvantaged youth is particularly important, as perpetuating poverty is mostly explained by declining job opportunities for low-skill workers in Costa Rica. In this context, English is a particularly important skill –so important that the government has launched a National English Plan to universalize English teaching across the country. Volunteers work with teachers to create more interactive and student-centered learning environments. They bring enthusiasm to class activities, and engage the students to help them learn and stay motivated. Volunteers live in Cartago and work in the city and surrounding areas. Volunteers work four to six hours a day in either a living center, a boarding school for disadvantaged youth or a center for young adults with disabilities. They assist the local staff in leading classes, help at the computer lab and work directly with the local organization. Children are 10 and up, and many come from very poor backgrounds and have experienced abuse and/or neglect, so volunteers are also important in helping to motivate the children and getting them interested in learning in general. 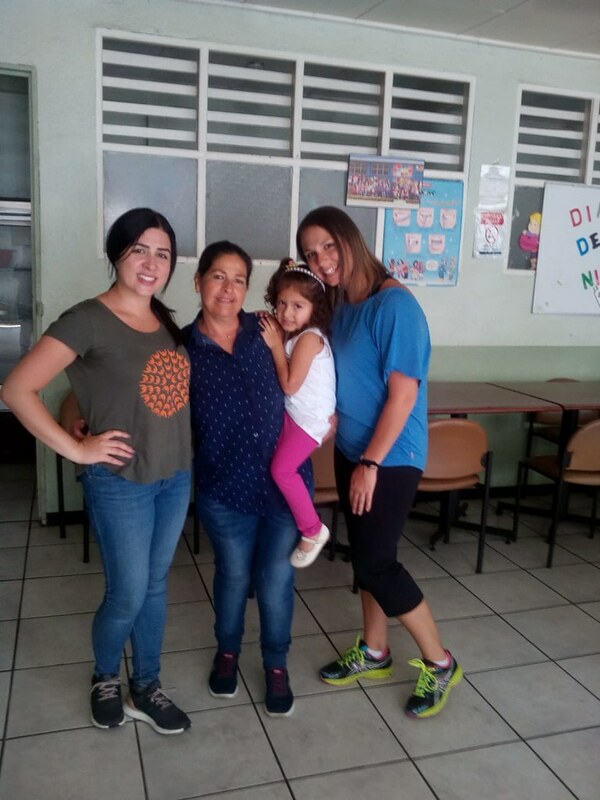 Volunteers also partake in recreational and sports activities with the children or young adults, and help in different daily activities, for example feeding the younger children and helping with homework. -At least an advanced level of English. -The creativity and initiative to lead classes with limited resources. -Teaching experience and/or certifications are not required. The project starts every Monday of the month and runs year-round, except from mid December to early February (for groups of four or more, we may make an exception and allow an alternative start date – contact us to request an exception). “My experience in Costa Rica will stay with me for a lifetime. I have made many new friends and received so much love. I went with the intention of giving myself, but I received much more than I gave to the wonderful people I interacted with on a daily basis. 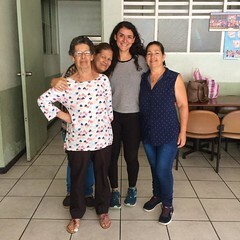 The biggest lesson I learned is that no matter where in the world, people are basically the same with their needs, hopes, and dreams.” Rosemary Alcantara, UBELONG Costa Rica Volunteer from the United States – read her interview here. Costa Rica is a pioneer in sustainable biodiversity, and has a well-deserved reputation as a global leader in environmental protection. However, Costa Rica still faces complex environmental challenges, including deficient waste management and meeting a growing demand for new clean energy sources. Part of the problem is also related to human behavior. In poverty-stricken communities across the country, socioeconomic needs are at odds with environmentally friendly practices. Volunteers work at organizations devoted to raising awareness about environmental issues and rights among vulnerable populations, and instilling a sense of environmental citizenship. Volunteers live in Cartago and work in the city and surrounding areas. Volunteers work four to six hours a day in a botanical garden, which is part of a botanical center focused on the Neotropic Ecozone, which is one of the eight ecozones on Earth. Volunteers help in the field with various tasks, including collecting seeds and identifying species, as well as general plant maintenance, for example watering, cutting and mulching. Volunteers also help with trail maintenance and, depending on local need, may have the incredible opportunity to work with the biologists and botanical professionals at the center. -The health and physical capability to live and do manual work in a tropical environment with few amenities. -The flexibility to participate in many different activities depending on the season and ever-changing needs of the project. -Education and/or professional experience in an environment-related field is not required. The project starts every Monday of the month and runs year-round, except from mid December to early January, as well as the week when Easter falls (for groups of four or more, we may make an exception and allow an alternative start date – contact us to request an exception). “UBELONG cares about their local partners and by working in a custom based matter, projects are specifically chosen based on the need of the particular environment. 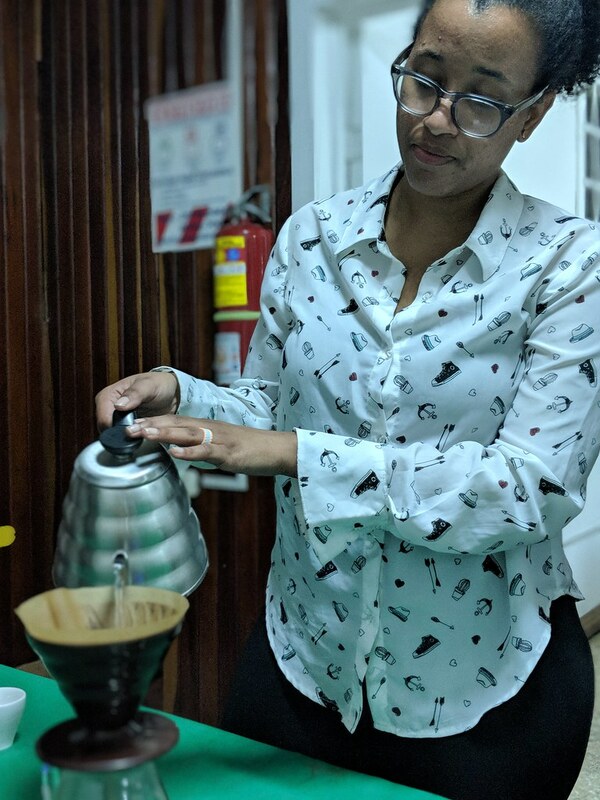 Projects are granted the best volunteers, and volunteers are placed in welcoming and inspiring settings to work in as well.” Karen Macatumbas, UBELONG Costa Rica Volunteer from Canada – read her interview here. We are currently at capacity on this project and not accepting new applications to join. As wonderful alternatives, please see our other environment project in Cartago. Thanks! Volunteers generally work five to seven hours a day in an NGO devoted to advancing environmental justice through education and awareness programs. Volunteers mostly focus on providing support to develop environmental education projects for local schools and community organizations. They assist local staff in marketing and communication efforts, administrative work, and fundraising drives. Additionally, other activities may come up (such as video production or website design) and volunteers may have the opportunity to help there too. -Must be 21 years old or older. -The flexibility to participate in many different tasks depending on the ever-changing needs of the organization. -The creativity and initiative to work in an environment with limited resources. -Education and/or professional experience in a relevant field like marketing, graphic design, communications, or environmental education. The project starts every Monday of the month and runs year-round, except the last week of December and first week of January (for groups of four or more, we may make an exception and allow an alternative start date – contact us to request an exception). 3. Volunteers must bring a laptop. 4. Depending on the needs of the organization and motivations and qualifications of the volunteers, volunteers may have the opportunity to spend time in the field. However, like any high-skilled post, this opportunity requires that volunteers spend a significant amount of time at the office, especially when they begin and are getting up the learning curve. Additionally, remember that volunteers are not interns – while guidance is provided, there is no formal training and volunteers are ultimately responsible for being very proactive in ways to contribute. 5. Prior to arrival, volunteers must provide a police background check. Without it, volunteers will not be allowed in the project. Field time for these UBELONG Volunteers from the United States! When you volunteer in Costa Rica with UBELONG, you embark on a life-changing volunteer trip that is all about volunteering, experiencing the local culture and making new friends. In Cartago, live with a welcoming host family in the heart of downtown Cartago. Enjoy excellent food and have an authentic, immersive experience living as part of the local community. Read on to learn more! 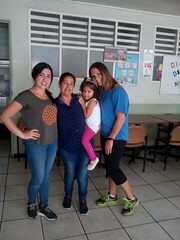 Volunteers live with a local family in downtown Cartago. For most volunteers, their host family experience is one of the highlights of their trip. The families are very friendly and used to welcoming international visitors and making them feel at home. 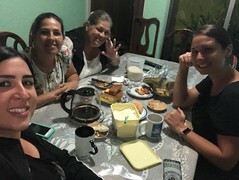 Most families speak English, and all the families are located in the same neighborhood so volunteers can easily connect, for example to head to the volunteer projects together or hang out after dinner. The homes are some of the most affluent in the city and feature all modern Western amenities, including internet. Volunteers generally share a bedroom and bathroom with other volunteers. There are up to four volunteers staying with each family. Special accommodations for couples, families and older volunteers can be made with us during the application process. The houses are close to conveniences like grocery stores, shops and public transportation. Staying with a host family is the best way to get to know Costa Ricans in a genuine, authentic way – you are going to love the experience! Please note: If you are part of a group of five or more, for example you’re travelling with your university professor as a team, you can also stay in a hostel. We offer this option because some groups like to all live together in one place, which is not always possible with host families since each family can host up to four volunteers. If this applies to you, please indicate your housing preference when each of your team members submits an application. Costa Rican cuisine is flavorful, yet quite mild and focused on highlighting the high quality of simple natural ingredients. Abundant with fresh vegetables and fruits, and usually accompanied by the traditional black beans and rice, you can expect to eat nutritious and tasty meals prepared by your family. Volunteers receive breakfast and dinner every day. Breakfast: A typical breakfast includes coffee, juice, eggs, toast, and fresh fruits. On some occasions, you can also eat the traditional national breakfast, gallo pinto, a tasty mix of rice and beans with onions and peppers. Lunch: For lunch, volunteers usually eat out at local restaurants near their projects. Generally, one can eat very well for under US$6. You can eat a sandwich, salad or the typical casado, a delicious dish with rice, beans, meat, salad and fried plantains. Buen provecho! Dinner: Dinner is lighter than lunch and usually includes sandwiches, salad or a local specialty. Dinner is an important time when volunteers come together with their host family. Mathilde, a volunteer from the United States, about to eat a casado, a typical Costa Rican dish! Cartago offers the perfect location to experience the best of Costa Rica. From the beaches and jungle to city life and the famous Costa Rican friendliness, Cartago offers it all. Cartago was a major colonial city that served as the capital of Costa Rica until 1823. You can feel the town’s rich history when you visit sights like the Basilica, the most important church in the country, and walk around the bustling city center and traditional markets. Cartago also hosts the Costa Rica Institute of Technology, one of the most prestigious universities in Latin America. It brings a lot of energy, fun and youth to the city. 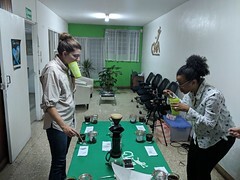 Volunteers can enjoy the small city feel and authenticity of Cartago’s daily life, and also take advantage of Cartago’s proximity to natural wonders like the Irazu Volcano and the breathtaking Orosi Valley, where you can hike mountains, take part in adventure sports like rafting, and visit coffee plantations. You can also easily and quickly get to the beach, either on the Pacific or Caribbean coasts. Kate and Lukas, from Princeton University, hiking and enjoying the nature in their free time. Cartago is the best place to experience all that Costa Rica has to offer! Volunteering abroad with UBELONG is extremely affordable. Plus, when you consider that UBELONG Volunteers receive extensive support and the trust of joining an organization based in the United States with top reviews, you realize the unmatchable value UBELONG offers. It’s one of the main reasons thousands have already decided to join a UBELONG volunteer trip. In addition to the program fee, there is a US$295 reservation fee due upon your being accepted into a project. For volunteers in the construction and infrastructure project, you must bring to the field approximately US$40 in cash for every week of your placement. The money will go towards purchasing materials, for example brooms, paints and paint brushes. To learn more about when fees are due, see our how to apply section. To see our cancelation and refund policy, see our terms and conditions. 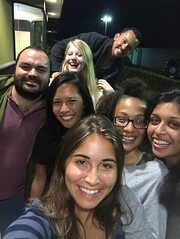 To hear from Volunteer Abroad alumni, read their reviews, see their interviews in the Volunteer Abroad news section, or connect with them on the UBELONG Facebook page. Easy online application: You can apply online using our Volunteer Abroad application form. We use the application to get to know you and make sure that you join a volunteer project that is right for you based on your background, interests, and skills. Preparation Booklet: The booklet offers you a wealth of information and helpful tips to prepare you for your volunteer trip with UBELONG. Topics range from health, safety and visa issues to the development challenges that your host community faces. UBELONG Mentor: We pair you with a UBELONG Mentor, a highly experienced member of our team who works closely with you throughout your UBELONG Volunteer Abroad experience. From coordinating details like airport pickup and housing preferences to preparing you for your role as an international volunteer, your mentor is there for you. Briefing Meeting: Prior to your departure, you have a meeting with your UBELONG Mentor. You go over staying safe during your volunteer placement, as well as tips for getting the most out of your Volunteer Abroad experience. The meetings generally occur over the phone or Skype, but if you are in the same location as your UBELONG Mentor they can occur in person. UBELONG Shop 25% discount: The UBELONG Shop is a clothing store selling shirts, bracelets and other items that are inspired by travel. It’s another way for us to advance our social mission. A part of the Shop’s profits go to where UBELONGers serve, for example the hospitals, schools, environmental reserves, etc. When you are accepted into a UBELONG program, you receive a 25% promo code for the UBELONG Shop. You can share it with your friends and family. The donations from purchases made with your promo code go to the projects in the location where you are travelling. Airport pickup: When you arrive at the Juan Santamaria international airport in San Jose, a driver meets you and brings you to your accommodations in Cartago, which is about 30-45 minutes from the airport depending on traffic. First week extra R&R day: On the Sunday prior to your first Monday, which is the start of your placement, your housing and food is included so that you can comfortably settle in. You can arrive earlier, just note the US$20 per night extra charge. Orientation: Our Local Team Leader gives you a volunteer orientation to introduce you to the local team and go over everything from living locally to the volunteer work that you will be doing. The orientation is generally your first Monday. Housing: You live with a friendy, welcoming local family. Groups of five or more can request to stay together in a hostel. To learn more, click the “living” tab above. Food: You receive a tasty, home-cooked breakfast and dinner every day. To learn more, click the “living” tab above. United States and Europe based support: UBELONG is an American organization with headquarters in Charleston, South Carolina. We also have a European office in Lisbon, Portugal. As such, you have the peace of mind that comes from having the support of a volunteer organization with an American and European presence. In-country support: Throughout your Volunteer Abroad placement, we work with our Local Team Leader to provide you with any assistance that you may need. Whether you have a question about where to travel on the weekend or have an issue that requires immediate assistance, the local team is there for you. Reference letter (including for graduate degree and job references): Upon request, we provide you with a letter stating that you joined our Volunteer Abroad program. 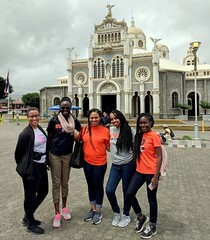 As the UBELONG network extends widely into the university and professional worlds, participating in a UBELONG Volunteer Abroad program can be a strong positive in a university or job application. See some of the institutions in the UBELONG network. Fundraising and networking: We hold fundraising and networking events throughout the year to support development initiatives. Join us online, in the United States or wherever in the world we are holding an event. To keep up with events, see the UBELONG Facebook page. United States President’s Volunteer Service Award: If you are a U.S. citizen and shared your story in our Volunteer Abroad blog, you are eligible for the award, which we have been certified to give as a U.S. based international volunteering organization committed to the highest standards. Airfare, airport drop-off, travel medical insurance, and visas are not included. We also require that every person 18 years of age or older obtain a police background check to volunteer with UBELONG – this is part of our commitment to volunteer safety and community safety. The price you pay depends on what location you are in because every country/city has a different price. However, in general, the cost of a police background check ranges from US$40 to US$150 per person. Additionally, in Cartago lunch and miscellaneous spending like snacks and toiletries are not included. You may also have to take transportation to reach your volunteer project and you are responsible for the fare. Most volunteers budget US$5 to US$15 for each day of their placement for additional expenses in the field. Please note: We require that you have travel medical insurance, including emergency evacuation, throughout your volunteer placement with UBELONG. We do not include it because there are many different plans available and you know best what is right for you. Before your departure we will ask you for general information about your policy, but it is your sole responsibility to determine its adequacy and any associated details like coverage levels and deductibles. You can pay us via PayPal (which includes credit and debit card), bank wire, United States Postal Service money order, or certified bank check. We do not accept cash or personal checks. To learn about when fees are due, see our how to apply section. Applying is easy, simply follow the steps we lay out in our How To Apply section. If you still have questions after doing so, please contact us, we are glad to help. If I apply, will I be accepted? Availability: We receive many more applications than we have spots for. As such, there may be projects where we simply don’t have a need for volunteers anymore. This is why you should apply as soon as possible. However, you should only apply when you know the exact location, project, and dates of your placement, and when you’re completely sure you’ll join if accepted. Your background, experience and skills: Make sure to check the description of each project carefully. You can find all the project descriptions for this location in the “project” tab above. The UBELONG Mindset: UBELONG Volunteers have the well-deserved reputation of being the best of the best. So, we expect that you will approach your UBELONG experience eager to contribute, and with a caring, humble, proactive and respectful attitude. We just want good people with the right attitude. Can I apply for any given dates? Yes, as long as your dates meet the “minimum time commitment” and “project schedule” requirements we have for the project you want to join. You can see these requirements by clicking on the “project” tab above and looking at the description for your project. Additionally, considering how affordable and popular UBELONG opportunities are, we sometimes run out of spots. So, while you should only apply when you are completely sure you will join if accepted, the earlier you can apply the better your chances of being accepted. Until you have submitted an application, we will not be able to tell you if certain dates have been filled or not – you must apply first. For additional information, visit our how to apply section and see our application. I have neither travelled nor volunteered abroad. Can I still volunteer in Costa Rica? Yes. We believe that everyone has something valuable to contribute. If you do not have previous experience, we offer you the opportunity to have a great start with us. We make international volunteering easy – not only are our Volunteer Abroad opportunities rooted in offering you extensive support, but they are also very affordable. I’m an international development professional with years of experience. Can I still become a UBELONG Volunteer in Costa Rica? Yes. Many of our Volunteer Abroad projects are designed to offer highly-skilled professionals the opportunity to contribute their expertise while growing professionally and personally. We were founded by international development professionals and university professors determined to raise the bar in international volunteering. Empowering even the most senior development professionals to volunteer overseas is a key part of our mission. Do I have to be from the United States to volunteer internationally with UBELONG? While we are based in the United States, we offer programs for people of all nationalities. Most of our volunteers come from North America, Europe, and Australia, yet every year we welcome into the UBELONG community thousands of individuals from all corners of the world. As long as you have a willingness to discover the world and volunteer abroad, you’re welcome to join one of our Volunteer Abroad projects. When should I apply to join a Volunteer Abroad project? You should apply as soon as possible as we receive a very high volume of applications for a limited number of spots. However, you should only apply when you know the exact location, project, and dates of your placement, and when you’re completely sure you’ll join if accepted. Most individuals apply three to six months before their start date, although some apply even earlier and some with as little as a week before. Again, the earlier you apply the better, but only do so when you’re completely ready to commit if accepted. What are the minimum and maximum age requirements to volunteer abroad with UBELONG? As of the date you submit your application, you must be at least 18 years old. There is no maximum age requirement. Whether you are a student or have recently retired, or whether you are a young professional or a middle-aged housewife, we probably have a Volunteer Abroad project that is right for you. Please note: In certain cases, we will allow people under 18 years old to become UBELONG Volunteers. To learn more, see the two FAQs right below this one. I am a parent who would like to bring my child/children who is/are under 18 years of age on my volunteering trip with UBELONG. Is this OK? Yes, we have many wonderful families with children volunteer on our projects. It is a great way for families to come together, and we have found that children coming in as volunteers can very positively impact the local communities. For families with everybody 13 years or older, all our volunteer projects are open to you. For families with children younger than 13 years old, due to project qualification requirements, logistical challenges and safety precautions, in certain of our locations we cannot have children under 13 years old join. To know the list of volunteer projects that are open to families with children under 13 years old, please contact us. I’m under 18, but I still want to volunteer abroad with UBELONG. What are my options? If you are under 18 years old, you can still volunteer with UBELONG either with your family or with a high school group. Contact us for more information about each option. Can I volunteer in Costa Rica as part of a group? Yes. All groups, including couples, families and friends, can join any of our Volunteer Abroad projects and volunteer together. Every year we have thousands of individuals become UBELONG volunteers as part of corporate, university and religious groups. We can have groups of up to 500 people. Are there any special application procedures for groups? Everybody in the group should apply within the same 24 hours so we can review all the applications together. If you want to house together or volunteer on the same project, please let us know in your application. We will do everything we can to accommodate you; generally it is not a problem as long as you let us know in your application. 2. Once we receive all the applications, we will review them together. Assuming you are all accepted, we will pair the group with a UBELONG Mentor, a highly experienced member of our team who works closely with you throughout your UBELONG experience to support you. From coordinating details like airport pickup and housing preferences to preparing you for your role as an international volunteer, your mentor is there for you. As always, if you have any further question please contact us, we are glad to help. Do you work with university alternative break teams? Yes, we have accepted many alternative breaks teams into our Volunteer Abroad program and had great success. The teams volunteered throughout the world on our projects across Africa, Asia and Latin America. Some have gone for a week during spring break, while others went for longer periods. Moreover, as we have over 150 projects, depending on their backgrounds teams have joined projects ranging from teaching English and conservation to healthcare and microfinance. We encourage you to connect with past teams by visiting our Volunteer Abroad News section as well as the UBELONG Facebook page. Do you work with high school teams organized by teachers and/or high schools? Yes, we work with many high school groups from all over the world. Visit our high school groups page to learn more about high school groups volunteering abroad with UBELONG. We believe everybody has something to offer by volunteering abroad – this is why our Volunteer Abroad program is rooted in affordability and flexibility. At the same time, volunteering abroad is not easy. Expect challenges. There is no typical day or script to follow, and in the developing world conditions can change quickly. You must be flexible and ready for anything. Some days will be frustrating and not what you expected. However, the challenge of international volunteering is also what makes it so special. You will push yourself and step out of your comfort zone. You may develop relationships you would never have ever imagined. Or, in making an impact on those around you, find yourself growing immensely. And when it is all said and done, you may realize you gained even more from volunteering abroad than what you put in. What is the difference between a volunteer and a tourist? Volunteers are not tourists. Volunteers expect to serve, tourists expect to be served. As a volunteer your role is to fit in your project and not the other way around. Think what you can do for your hosting community, not what it can do for you. We expect you to contribute wherever the need arises, even if it means being involved in an area you were not expecting to work in. You must be open, flexible and proactive. That is the challenge, but also the beauty of becoming a UBELONG Volunteer – you will be out of your comfort zone, but don’t be surprised if in making an impact you yourself have the experience of a lifetime. Finally, while tourism companies offer overpriced “voluntourism” opportunities, we believe that’s unfortunate. Volunteerism and tourism have nothing to do with one another. They require very different attitudes, and attempting to combine them creates disappointment for the volunteer and generates no positive impact for the local community. And, while tourism companies may speak of the “volunteer travel industry”, authentic volunteering has nothing to do with an industry. For UBELONG Volunteers, volunteering is about people coming together for positive change – there is nothing industrial about it. 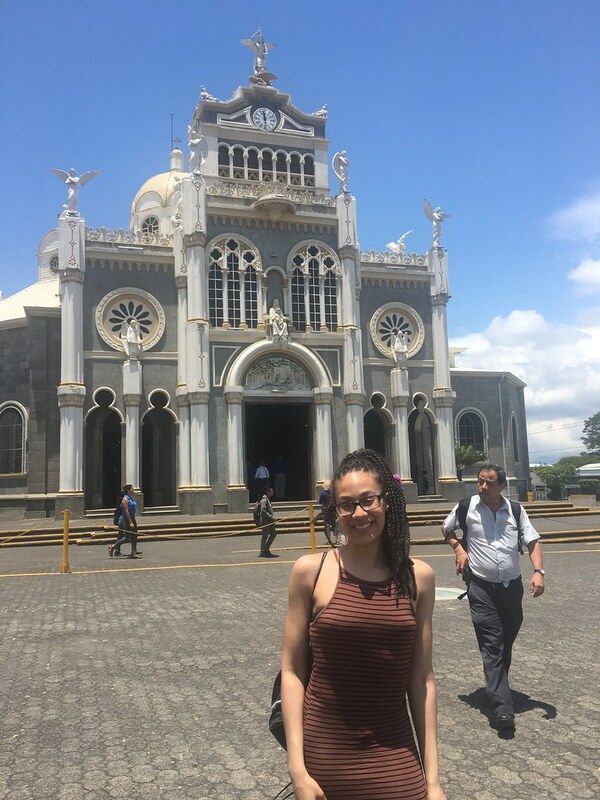 Will I make an impact volunteering in Costa Rica? As long as you take your volunteering seriously and approach your experience with an open and proactive mindset, absolutely. Your impact will be specific to you – every person experiences life differently. And while you will not “save the world”, as a UBELONG Volunteer you will be part of a large and wonderful community of individuals who, together, are making a significant positive global impact. Project: You bring energy, experience and skills to share with the local community. Whether you are helping plant trees or sharing medical skills on a health project, you are making your mark. Cross-cultural sharing: When people come across borders to live and work together, it’s powerful. It breaks down barriers and dispels stereotypes. Whether you are connecting with a local or another UBELONG Volunteer from a different country, those relationships you create matter. Yourself: In travelling and volunteering, you will probably change for the better. You will pick up new skills, have new experiences and make new friends. How each of us grows is deeply personal to who we are, but be ready to change in ways you may never have imagined. One of the best ways to learn about the impact of UBELONG Volunteers is to meet them. Do so by reading their interviews in the Volunteer Abroad news section and meeting them on the UBELONG Facebook page. If I join alone, will there be other volunteers with me? Yes. While certain times of the year are busier than others, there are generally 5 to 20 UBELONG volunteers in any location at any point in time. You’ll be meeting plenty of other volunteers during your UBELONG experience. A great place to meet them beforehand is our Facebook page – you should like our page and connect with the other people hanging out there. How do I connect with former, current, and future UBELONG Volunteers? We encourage you to connect with others in the rapidly growing UBELONG community. It is a great way for you to hear firsthand about what it’s like to be a UBELONG Volunteer. 1. We frequently publish interviews with alumni in our Volunteer Abroad news section. 2. Many people connect with each other via our rapidly growing UBELONG Facebook page. We suggest scrolling through the timeline and seeing the many pictures, videos, and testimonials posted there. If you have a comment or question, do not be shy, start a conversation. 3. Read some of our Volunteer Abroad reviews. Cartago is a fairly small community of 150,000 inhabitants with very low crime rates. The city is well-equipped to receive foreigners comfortably and safely. While the majority of visitors never experience a problem and feel completely secure throughout their stay, you should take certain precautions, including being extra vigilant when taking public transportation and never walking alone at night. Once you become a UBELONG volunteer, we will provide you with extensive materials and support to help make sure you stay safe and comfortable. Tell me more about safety in general. All our programs are personally inspected by a member of our team who goes through an extensive field checklist. 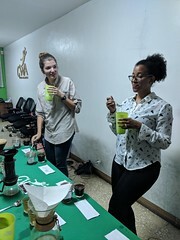 We evaluate the local staff, inspect the living facilities, ride the public transportation, speak to former and current participants, taste the food, visit the work sites, and walk the neighborhoods, among many other activities. The program set-up process is long and thorough, but we consider it the most important part of our work. Our philosophy is to only offer placements where we would feel comfortable sending our own families. When you sign up for a Volunteer Abroad project we send you a Preparation Booklet. The booklet offers a wealth of information and helpful tips to help you prepare for your experience. Topics range from health, safety and visa issues to the challenges in your hosting community. We also pair you with a UBELONG Mentor, a highly experienced member of our team who works closely with you throughout your UBELONG experience. From coordinating details like airport pickup and housing preferences to preparing you for your role as an international volunteer, your mentor is there for you. Additionally, prior to your departure you have a Briefing Meeting with your UBELONG Mentor. You go over staying safe during your Volunteer Abroad placement, as well as tips for getting the most out of your experience. The meetings generally occur over the phone or Skype, but if you are in the same location as your UBELONG Mentor they can occur in person. We have built and continuously manage a network of local partners, including community organizations, NGOs, private citizens and schools. They are well positioned to look after your day-to-day safety and comfort. They have extensive local contacts, understand how things work on the ground, and implement appropriate safety measures. We are proactive in identifying and dealing with issues that may affect your safety. We monitor local conditions where programs are located and continuously communicate with our local partners to determine if any safety steps need to be taken. Our team also spends many months on the road every year supervising placements and checking the safety of our programs. Throughout your Volunteer Abroad experience, we work with our local partners to provide you with any assistance that you may need. Whether you have a question about where to travel on the weekend or have an issue that requires immediate assistance, staff is reachable 24/7. What kind of physical health do I need to volunteer in Costa Rica? 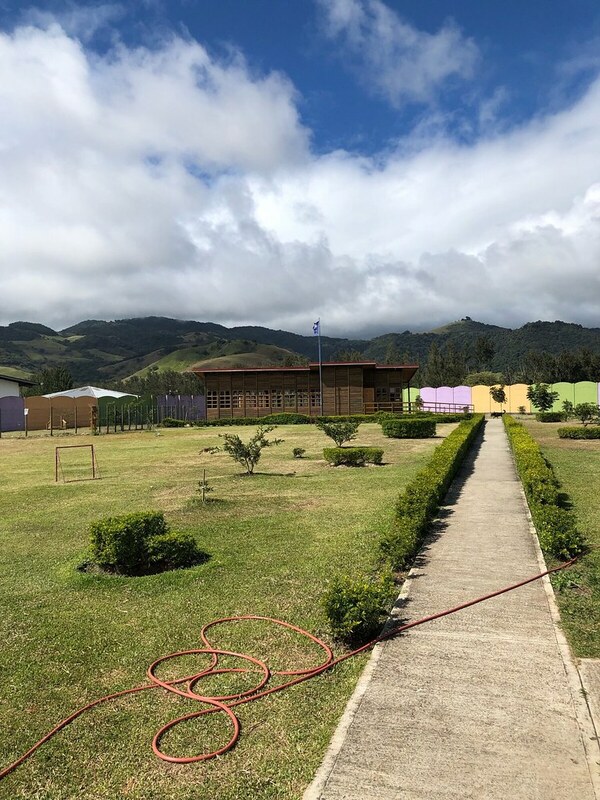 While the projects in Cartago do not require sustained manual work, there are times when you are invited to partake in extracurricular activities with the children. The weather can be hot. You should be in excellent physical health. Prior to arriving in Costa Rica we suggest that you visit your physician or a travel health clinic to ensure that you are in good enough overall health for your placement and obtain any suggested and/or required immunizations. Do I need any immunizations? -Routine immunizations for polio, measles/mumps/rubella, etc. The risk of malaria in Costa Rica is very low. However, if you plan to travel throughout Costa Rica after your placement, you should consult a medical professional as there are malaria risk areas in the country. Do I need travel medical insurance to become a UBELONG Volunteer? Yes. For all our Volunteer Abroad projects we require that you have travel medical insurance, including emergency evacuation, throughout your experience. We do not include it because there are many different plans available and you know best what is right for you. Before your departure we will ask you for general information about your policy, but it is your sole responsibility to determine its adequacy and any associated details like coverage levels and deductibles. Do I need a visa to volunteer in Costa Rica? It depends on the passport you hold. For Australian, Canadian, EU, and US citizens, you can enter at no charge and receive a tourist stamp in your passport valid for up to 90 days. If you are planning on staying in Costa Rica for longer than 90 days, once you become a UBELONG Volunteer we offer you further information in the Preparation Booklet . How do I get to Cartago? Most volunteers arrive by plane at San Jose’s international airport, which serves points throughout the world on a daily basis. We pick you up at the San Jose airport and take you to Cartago, which is 30-45 minutes from the airport depending on traffic. When should I arrive in Cartago? We recommend that you arrive the Sunday before your first Monday. As noted under the “cost” tab above, during your first week housing and food is included on the Sunday before so that you can comfortably settle in. What happens when I arrive in Costa Rica? A driver will be waiting for you at the San Jose airport to welcome you and bring you to your accommodations in Cartago. Note that Cartago is about 30-45 minutes by car from the San Jose airport. Can I volunteer back to back across multiple locations? For example, Cartago and then Merida? Yes, you’re welcome to volunteer in multiple of our locations back to back. Just remember that travelling between locations takes a lot of energy and time. You also need time to settle in and get up the learning curve in each location. So, while you can do back to back placements, we suggest you think it through to make sure you’re not cutting yourself short. Generally, we advise against volunteering in multiple locations back to back if you’re spending less than two weeks in any particular location. Tell me more about my orientation. Your orientation happens on your first Monday and is led by our Local Team Leader. During the orientation you go over your project scheduling and receive further information about your work. 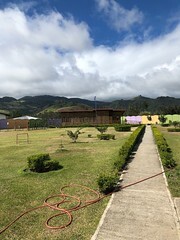 You also meet other volunteers and staff, and take a tour of Cartago to become familiarized with the area and learn where banks, public phones, restaurants, taxi stands, and other local services are located. Is it OK if I do not speak Spanish? Yes, the majority of the local team speaks English. However, make sure to check the requirements to participate of each project as certain require Spanish speaking skills. The requirements can be found under each project’s description in the “project” tab above. Also, for an extra US$225, receive 10 hours of group Spanish classes with a professional Costa Rican teacher. Each 10 hours is applied over 1 week. If you’re interested, let us know in the “additional information” section of your application how many hours you would like. 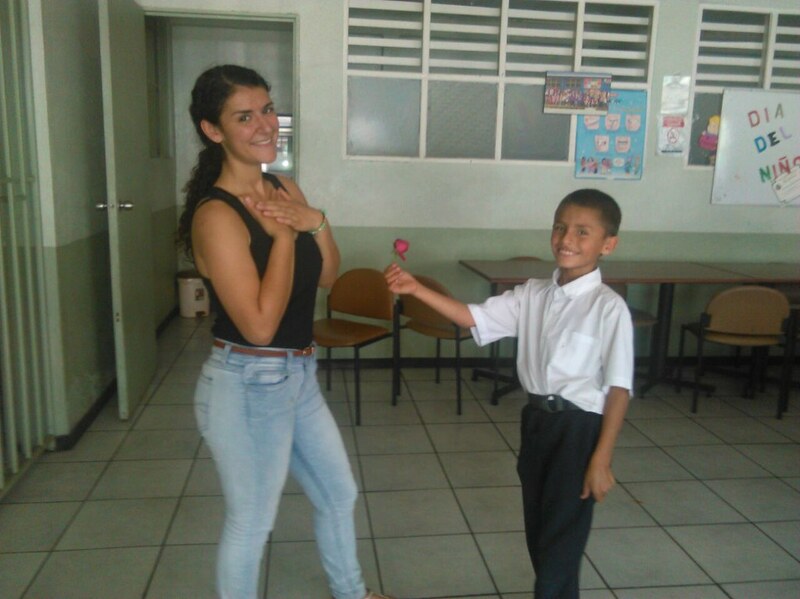 Can I take Spanish lessons while I volunteer in Costa Rica? Yes! For an extra US$225, receive 10 hours of group Spanish classes with a professional Costa Rican teacher. Each 10 hours is applied over 1 week. If you’re interested, let us know in the “additional information” section of your application how many hours you would like. Can I switch projects once I have signed up? It depends on the availability of positions and the participation requirements of the project you wish to join. Additionally, remember that it takes time to settle in, get up the learning curve and find your role within a project. As such, unless there are extraordinary circumstances, we expect you to stay in your original project for at least two weeks before requesting a switch. Can I make a donation to my volunteer project? Yes, but we ask that you limit any financial or material donation to your project to US$20 for every month you spend in the field. We do not want to encourage a culture of dependency whereby volunteers are viewed as a source of money. What days of the week do I volunteer? And for how many hours? In general, all of the projects run Monday through Friday. Saturday and Sunday are off, as well as local holidays. Your days off are free, so it’s entirely up to you what to do. As for the number of hours a day you will spend at your project, every project is different. For every project description under the “project” tab above we offer an approximation of what you can expect. Finally, remember that in accepting you as a UBELONG Volunteer we expect you to be understanding that local needs are always changing. You may find yourself volunteering either more or less days and hours than you expected, and you must be adaptable and flexible. Do I need a police background check to volunteer with UBELONG? And how do I get one? As it says in each project description under the “projects” tab above, we require a police background check from every UBELONG Volunteer. Once you apply and are accepted into a project your UBELONG Mentor will ask you for it. In terms of obtaining one, every country, state and city is different. For example, getting a background check in Washington, DC, where UBELONG was founded, is different than getting one in a neighboring city like Boston or New York. Similarly, countries like Australia and Canada all have their own unique processes. In general though, it is a relatively easy process that simply requires you to walk into your local police station and ask for one. For volunteers living in the United States we also have a couple helpful tips that we offer you in your Preparation Booklet once you become a UBELONG Volunteer. Can UBELONG accommodate dietary restrictions? In most cases yes and, considering the difficulty of meeting dietary restrictions in the countries UBELONG Volunteers serve in, we believe we do an excellent job. For example, restrictions related to dairy, eggs, gluten, poultry, meat, nuts and shellfish are generally not a problem. With that said, there are limitations because of the different resources available in the field. For example, if your allergy is very severe, we cannot guarantee cooking environments that are completely free of a particular type of food product, for example peanuts or seafood. Remember, you are travelling to an environment that may not be built to cater to your requirements. So, if you have a dietary restriction, simply let us know in your application and, if we cannot meet it, we will let you know. You can also contact us before you submit your application and ask us about your particular needs. Can I sightsee while I am volunteering? Yes. We encourage you to discover different places, experience new cultures, and meet other people. These are fundamental parts of the UBELONG Volunteer Abroad experience, and you should take advantage of your free time in the field. What is the weather like in Cartago? In Cartago there are two seasons, dry and wet. The dry season is from December to May and the wet season is from late May to early December. During the wet season rains are expected in the afternoons, but mornings tend to be sunny. The temperatures range from 61 F (16 C) to 82 F (28 C) in the wet season, and 72 F (22 C) to 90 F (32 C) in the dry season. The rainiest month of the year is October, and the driest months are February and April. Can I arrange my own housing and still volunteer on the projects? No. The UBELONG experience is as much about volunteering on your project, as it is about cross-cultural exchange and community building. A lot of that happens through the housing that we have set up. Additionally, for safety reasons all volunteers must live in vetted housing. As such, for you to become a UBELONG Volunteer you must live in our accommodations. What is the U.S. President’s Volunteer Service Award and can UBELONG Volunteers receive it? The United States President’s Volunteer Service Award was created by the President’s Council on Service and Civic Participation to recognize the contributions of American volunteers and encourage others to serve. There are various award levels, depending on the number of hours served. UBELONG has been certified to give the award to UBELONG Volunteers. UBELONG successfully passed the selection process as a U.S. based international volunteering organization committed to the highest standards. The award can be bestowed to U.S. citizens, and we award it to UBELONG Volunteers who, upon returning home, share their stories in our Volunteer Abroad news section. Why was UBELONG founded in Washington, DC? Washington, DC is the most important international volunteering center in the world. Our network is strong and we have unparalleled resources at our fingertips. Most notably, the city is home to influential development organizations, government agencies, embassies, think-tanks and universities. We tap heavily into these networks to help us design safe, affordable, and high-quality programs. Why pay to volunteer in Costa Rica? You are not “paying to volunteer.” Among other services, you are paying for your pre-departure preparation with a UBELONG Mentor, project supervision, housing and meals. Additionally, your fee goes towards the extensive structure we put in place to support you. Offering safe, comfortable and meaningful volunteering experiences in developing countries takes an enormous amount of resources. It does not “just happen.” From large details to ones you will never notice but that are still crucial, we make sure that you can focus on discovering new places and making a difference instead of worrying about logistics. Finally, in many cases it is significantly cheaper to join a UBELONG Volunteer Abroad project than traveling alone and trying to plan logistics like airport pickup, housing and meals on your own. Not even counting UBELONG services like pre-departure preparation, training and 24/7 in the field support, it is very difficult to travel on your own and have what we charge you give you the same comfort, security, and support that UBELONG Volunteers receive. How are UBELONG Volunteer Abroad opportunities so affordable? 1. There are very few organizations offering one week to six month international volunteering opportunities. As a result, even those claiming to be nonprofit get away charging exorbitantly high prices. Strong demand and low supply means elevated prices. We believe that a new approach is needed. We are a social venture, which means we aim to advance our social mission in a sustainable manner instead of widening our profit margins. Moreover, being led by former international volunteers with extensive academic, international development and management experience, we can keep our overhead costs low while focusing on the quality of our programs. We do much more with much less. 2. The resources we have as a US-based organization are unmatchable. We have access to embassies, governmental organizations, NGOs and universities that allow us to build the highest quality programs in the most cost-effective manner. Additionally, considering that the majority of international volunteers come from North America and Europe, our being an American company led by North Americans and Europeans lets us reach volunteers very easily. Instead of spending resources on marketing we can focus on building our programs and supporting our volunteers. To learn more, we encourage you to read a post by UBELONG Founder Cedric Hodgeman, in which he talks about the affordability of the UBELONG Volunteer Abroad program. Click a title to read more. "I became a volunteer to make a small impact in others' lives." 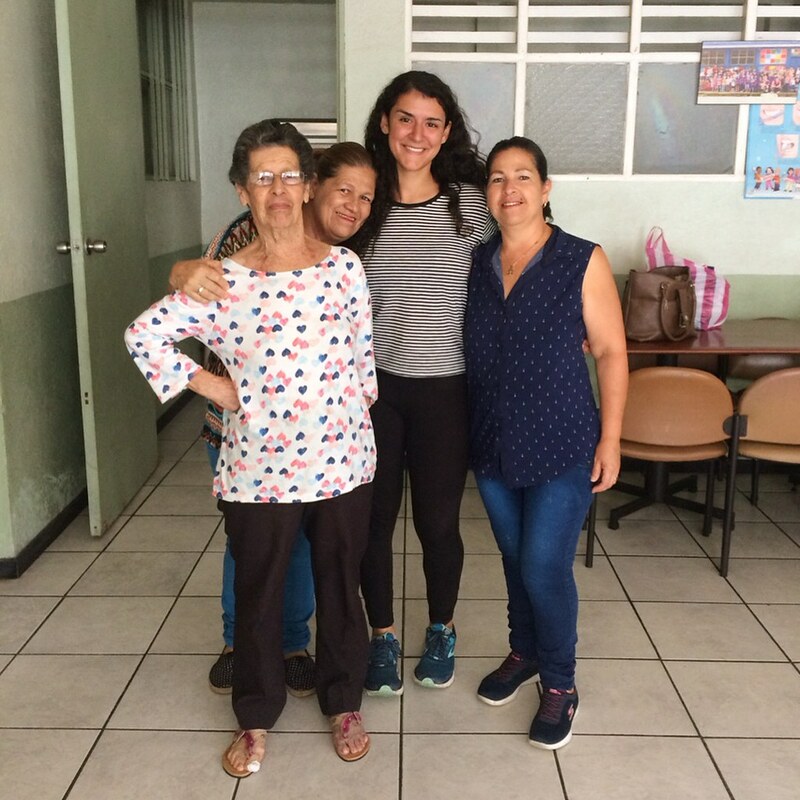 "I learned a lot about kindness, patience, and opportunity while I was in Costa Rica." "It was a very rewarding and life-changing experience."